Santa Clara County is looking to shut off a unique pipeline of illegal drugs to jail inmates. County supervisors on Tuesday will consider a new policy to restrict drones over correctional facilities due to drug drops. The Elmwood jail in Milpitas, for example, is a sprawling property, and apparently drug smugglers see a lot of covert ways to deliver drugs there via drones. A drone recently crashed on Elmwood's grounds, and investigators believe it was used to transport drugs to inmates. A former Elmwood inmate said drug trafficking at the facility is heavy, including pot, meth and much more. "I seen heroin, cocaine, pills. All narcotics," said the ex-inmate, who did not wish to be identified. "We can get them in jail." Supervisor Cindy Chavez said during a tour of Elmwood, she learned that drones are a modern progression from the old method of tossing drugs over the fence at night. She and Supervisor Mike Wasserman want drones banned over many county sites, but especially over correctional facilities. "I learned from the sheriff and correctional officers that drugs were getting into the jails through drones, being dropped, and the most common was methamphetamines," Chavez said. The only current restriction is a Federal Aviation Administration rule between controlled airspace and its proximity to the airport. The Santa Clara County Sheriff's Office, which operates county jails, agreed the issue is worth looking into. "Anytime you're running a correctional facility, you're concerned about security," sheriff's spokesman Sgt. Richard Glennon said. "And the direction that drones have gone, aerial surveillance, potentially dropping items ... I think it is something that has been growing and something that we're concerned about." 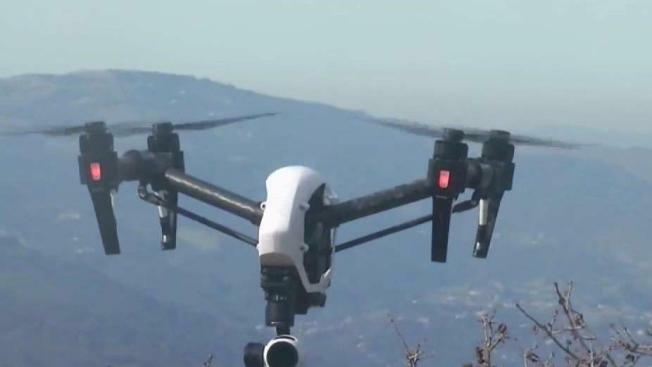 Chavez and other officials acknowledged an ordinance may not discourage all drug smugglers, but they say a ban would be a good first step in trying to control where drones can fly.